The mission of YouthBuild USA and YouthBuild International is to unleash the intelligence and positive energy of low-income young people to rebuild their communities and their lives. We seek to join with others to help build a movement toward a more just society in which respect, love, responsibility, and cooperation are the dominant unifying values, and sufficient opportunities are available for all people in all communities to fulfill their own potential and contribute to the well-being of others. The intelligence and positive energy of young people need to be liberated and enlisted in solving the problems facing our society. Young people in low-income communities want to rebuild their neighborhoods and lives, and will do so if given the opportunity. The desire to serve, to do meaningful work that is of value to other people, is universal. Community-based organizations need the resources to solve local problems and to mobilize local people, including neighborhood youth. Leadership development is a central element of effective community development and youth service. 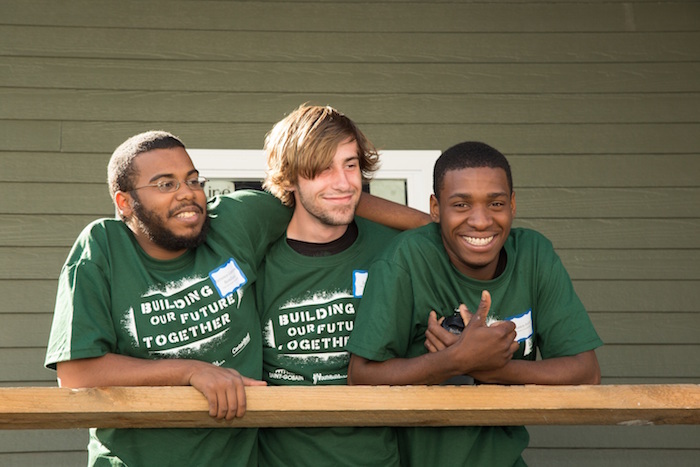 Build a broad network of YouthBuild programs across the United States and in other countries. Ensure their excellence through providing funding, staff training, on-site technical assistance, publications, quality assurance systems, reflection on best practices, peer support, innovation, and relevant research on impact. Lead and support the YouthBuild USA Affiliated Network as the center of gravity of the YouthBuild movement in the USA, and build similar national networks abroad. Organize national and state coalitions in support of public policies and resources that support YouthBuild programs and facilitate youth and community development. Link this network with other like-minded networks for maximum learning and impact. Attract, inspire, develop, and organize new young leaders and sophisticated adult leaders within low-income communities. Spread the philosophy and methodology of youth leadership development as a central part of working with youth in all contexts, including education, job training, national service, crime prevention, and counseling. To learn more about YouthBuild, please visit their website.